Please read these Terms of Service carefully before using the New Inn website. 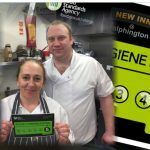 newinnalphington.com may change this policy from time to time by updating this page. You should check this page from time to time to ensure that you are happy with any changes. This policy is effective from May 2018. In some instances we will also need: information, such as details of insurance policies held, bank account, company registration numbers, or any details that you require us to record to ensure that your needs are met. Such details will only be collected on the basis of your consent. We will only contact you with newsletters and details of upcoming events if you sign up to our mailing list. newinnalphington.com do not sell, trade or rent your personal details to third parties unconnected to us – details are provided to potential suppliers connected to us for the purposes of the fulfilment of your booking only. You are entitled to access your personal data held by us at any time. 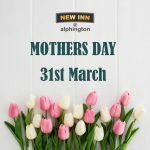 Please email info@newinnalphington.com to make such a request. We are obliged to offer any appropriate details within 30 days of the request. Please do advise us if you are seeking a specific piece or pieces of data. Your details will remain on our mailing list unless you ask us otherwise. Any concerns about the ongoing processing of data, including any corrections that may need to be made to any information held, should also be directed to info@newinnalphington.com. By continuing to access or use our Service after those revisions become effective, you agree to be bound by the revised terms. If you do not agree to the new terms, please stop using the website.